Cloud Communications Solutions | 8x8, Inc. 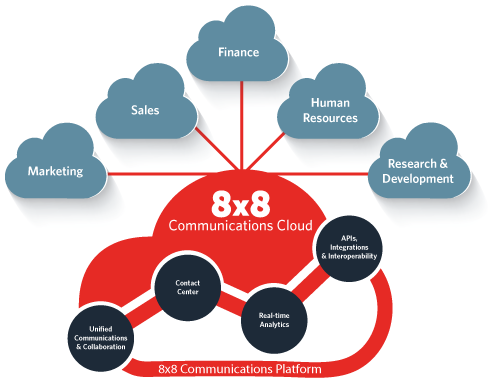 The 8x8 Communications Cloud gets employees, customers and applications talking to make people more connected and productive no matter where they are in the world. Create more rewarding connections with a seamless user experience that's easy to use and manage. 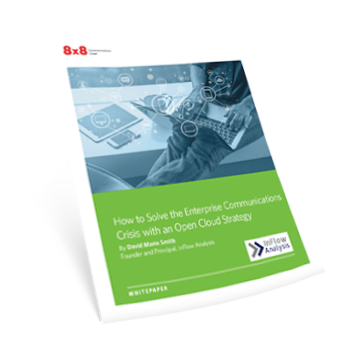 A crisis in enterprise communications and collaboration is brewing. Application silos and the increased use of diverse technology have created user complexity and confusion. Cloud and mobile are the new convergence points for enterprise communications and collaboration. Learn how a global open cloud strategy simplifies and enables conversational, collaborative experiences across clouds and applications for employees, partners and customers. 8x8’s cloud telephony services deliver the rich capabilities and voice quality we need with almost zero IT intervention. Instead of maintaining hardware, we can focus on running the business. It takes great effort and innovative thinking to build cloud communications that work simply, integrate seamlessly and perform reliably. In crafting our solutions, we’ve earned more than 100 patents — and the trust of more than 50,000 satisfied companies. See why Infonetics Research ranked 8x8 the #1 Cloud Unified Communications provider for 2015. 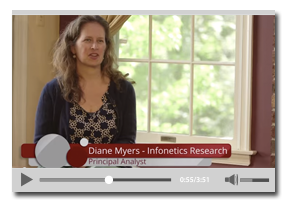 Analyst Diane Myers explains why 8x8 leads the pack, in this informative video. From sales to support, implementation to operation, we go the extra distance to earn your trust every day. We’re passionate about your long-term success. Have a technical question? We’ll answer it live. Need help setting up your service? We’ll talk you through it. 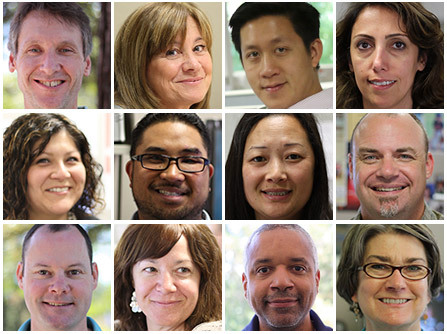 And our US-based Customer Service and Support team is standing by whenever you need it.